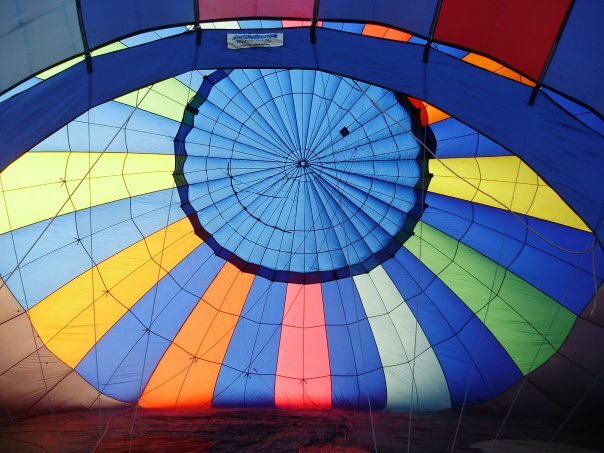 Hot Air Balloon Rides in Indiana with Above & Beyond Balloon Co. — Above & Beyond Balloon Co. Above & Beyond Balloon Co. Launching Dreams in Central Indiana Since 1980! Hot Air Balloon Rides in Indiana with Above & Beyond Balloon Co. Hot air balloon ride information for balloon flights in central Indiana and the Indianapolis area. 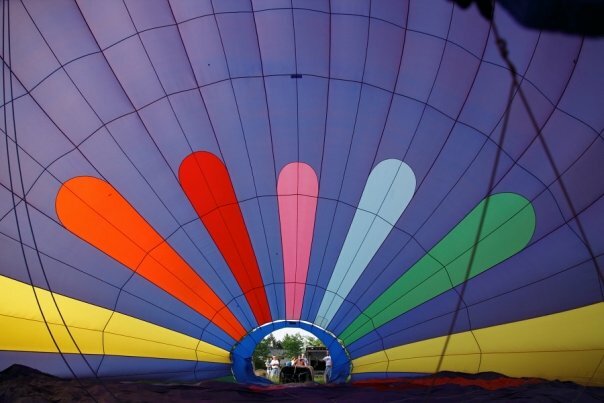 Experience the joy of a hot air balloon ride over central Indiana with Above & Beyond Balloon Co.! Below you will find information about ballooning in general, along with our pricing and balloon flight options. Use our online calendar to reserve your ballooning adventure now, or call us at 317-844-3718 to learn more. Hot Air Balloon Ride Vouchers can be purchased to give as a gift; use the link in menu above to buy online anytime. We look forward to flying with you! Here in the Indianapolis area, the most stable weather for hot air balloon flights occurs from June through November. Clear days, light winds, and sunshine prevail during these months - ideal conditions for hot air ballooning! Whether your flight takes you over Morse Reservoir, Conner Prairie, White River or the attractive Indianapolis suburbs, you are sure to enjoy the view and the memories captured in photos! Call us for all the details or scroll down to learn more about our balloon ride pricing and options. Setting up the equipment for a hot air balloon flight presents many opportunities for your participation, as well as great photo-ops. Family and friends are welcome to lend a hand to see what it is like to crew on a hot air balloon team, while adults and kids alike enjoy learning about how the system works and what materials are used in hot air balloon construction. Generally it takes about 20 minutes to set the equipment up and prepare for launch. The excitement is part of the fun! Floating like a cloud on the wind currents, you will get a breathtaking bird's eye view of Indiana's farms, reservoirs, and residential neighborhoods like Carmel, Fishers, and Noblesville. “Where will we land?” is a familiar question, but as your flight continues you realize it is not about the destination, it’s all about the journey! Relax, and enjoy the scenery. Our friendly crew will be waiting to welcome you back to Earth at flight’s end. Once packed up, we will all return to our starting point - knowing we’ve shared a special occasion together! $249 for One, $420 for Two, $780 for Four Passengers. Four passengers and the pilot lift off in our beautiful 140,000 cubic foot rainbow balloon for an approximately one hour flight. Passengers and family are invited to assist with the inflation if you choose, or just stand back and watch our team ready the balloon for flight while you take photos! This balloon ride option includes a post-flight commemorative gift package. Check availability and book now! Book a private BALLOON RIDE! Only the crew and your private party will be in the basket for the approximately one hour long flight, creating a special atmosphere that is ideal for wedding proposals, anniversaries, birthday celebrations, or other special moments. This balloon ride option includes a post-flight commemorative gift package. Get on our standby list for last minute flights - we will call you when we have an opening! If you have a flexible schedule this is a great option to get in the air quickly, at a great price! This balloon ride option includes a post-flight commemorative gift package. Call 317-844-3718 to be added to our Standby List! We offer hot air balloon ride gift vouchers - perfect gifts for Anniversaries, Weddings, Birthdays, Christmas gifts, Bucket Lists, or any special occasion. This balloon ride option includes a post-flight commemorative gift package. Above and Beyond Balloon Co. offers hot air balloon rides in the Indianapolis, IN area. Cities served include: Carmel, Fishers, Noblesville, Westfield, Zionsville, Indianapolis and surrounding towns. Our pilot is FAA certified and our crew is highly trained. We offer expertly maintained equipment and a 100% safety record. Join us for a hot air balloon adventure and bring the whole family to share the excitement and experience a lifetime of memories! Contact us by phone at 317-844-3718 or use our booking form to check our availability. Click to watch our balloon "going hot"!